The opioid addiction epidemic in the U.S. could be resolved with an approach that combines social support and behavioral therapy. The new study was conducted to help people who suffer from pain and have an opioid addiction. The study was funded by the Veterans Health Administration’s Health Services Research and Development Service. Over 120 veterans took part in the study. Most all of the participants were men, about 40-50 years old on average. They received outpatient treatment in a non-abstinence and cognitive behavioral therapy-based setting. 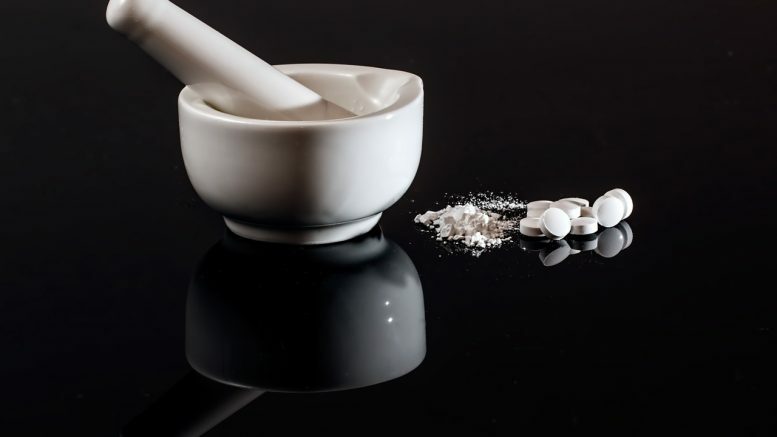 You can read more about painkiller addiction treatment in this article. Researchers called their approach “Improving Pain during Addiction Treatment” (ImPAT). According to the results, 55 veterans from the U.S. who took part in the research were affected by 10 sessions of ImPAT per week. The effect from the approach used for the treatment lasted for about one year. Compared to the patients who were under the less focused approach, those who received pain-focused care during their addiction treatment reported a decrease in alcohol use and pain intensity. Also, researchers noticed a higher ability to function in those patients. Unfortunately, both groups had similar drug use rates. There are more programs for the treatment of addiction in patients who have also a chronic pain issue, but the methods of treatment are few, according to a U.S. Department of Veterans Affairs (DVA) and University of Michigan psychologist Mark Ilgen, who is a lead author of the study. He added that the results of the study highlighted the need for other programs for addiction treatment that would not only address substance use but also would consider the factors led to the use of those substances, such as pain. Ilgen also added that their study has shown the possibility of improvement of pain outcomes in patients with addiction, and even had other “spillover effects” on substance use by those patients. The ImPAT approach study was planned before the opiate addiction issue among U.S. veterans was not at such a high level and the awareness about it was lower. Some of the veterans abused multiple substances during the study. Mark Ilgen pointed out another issue that makes pain treatment for addicts even more complicated: most of the programs for addiction treatment don’t train providers in pain management and care. Studies that use psychosocial approaches for pain mostly exclude people with substances abuse. Also, pain specialists refuse to treat people with any kind of substance abuse. In this case, patients with pain and addiction problems are caught in the middle and cannot receive any help. According to the researchers, their approach may be adopted by centers or groups for addiction treatment in any country. This easily adopted and low-cost approach will let health care providers effectively address the issue of pain treatment in patients with addiction. Team members at those centers would need to be trained in standard psychological techniques. As for now, the researchers launched another program to investigate the effect of their approach on almost 500 non-veterans in a residential program for addiction treatment. Ilgen said that the research on non-drug treatment of pain in patients with addiction became even more urgent due to the rapid increase of opioid abuse rates among people who initially used painkillers as treatment for their pain. He added that long-term use of opioid painkillers has another effect: patients become more sensitive to their pain. He added that in the meantime, while the approaches for non-drug treatment were still in development, people who had pain and struggled with their addiction should try to use the full range of other options that were usually effective for patients without drug addiction. Those are exercises, physical therapy, and antidepressants. Also, Ilgen said that the use of opioid painkillers was not prohibited in pain treatment in patients with addiction, and so they could be used, but only under strict supervision and in a small amount. The approach Ilgen and his team developed combines acceptance and commitment therapy with some parts of cognitive behavioral therapy. Usually, those approaches are used separately during pain treatment sessions by special programs or clinics. However, if a patient tells those clinics about his or her substance abuse or any addiction, they often refuse to treat the patient. Ilgen said that they wanted to put focus into a functioning and to find pleasurable ways to spend the time, at the same time decreasing the pain. He pointed out the strong link between depression and pain. Ilgen explained that pain is responsive to people’s mood, which is responsive to social support. The combinations of techniques to help patients find possibilities to distract themselves from pain, think of functioning despite the pain, or even try to adopt it are major parts of the ImPAT approach. With the help of ImPAT, patients will be able to focus on their life and focus less on their pain. 1 Comment on "Treatment of Pain for Painkiller Abusers"